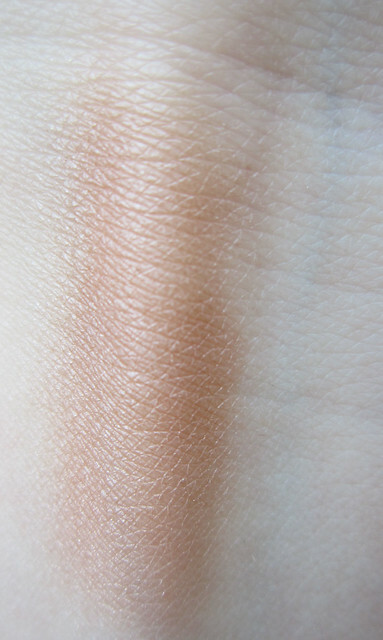 As a very pale individual I wear bronzer everyday along with the rest of the slap, but when it gets into the summer months, on a day-to-day basis I usually only wear bronzer, eyeliner and mascara. 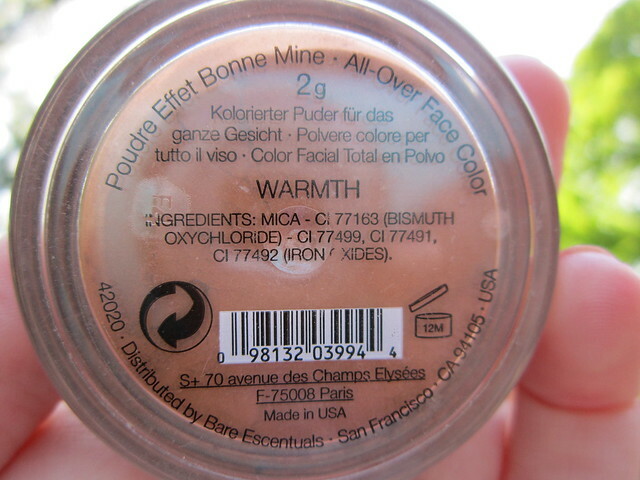 My favourite one to use is Warmth by Bare Minerals. I got it in the "Get Started Kit" which I also recommend if you want to try out the brand because it gives you all the essentials plenty of product and is pretty inexpensive for what you get. 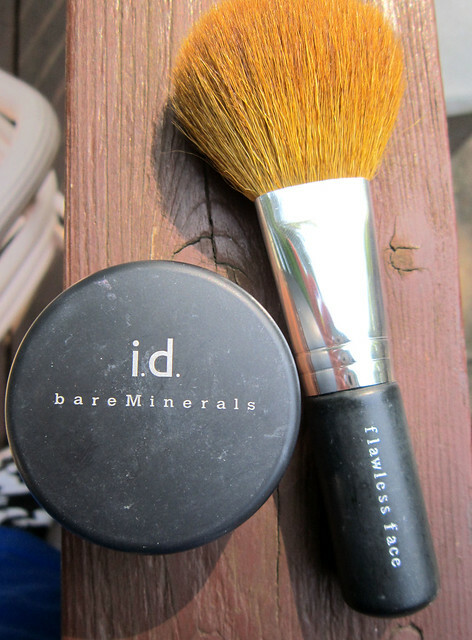 As you can see I use the brush they give you, because I truly believe that their brushes work best with mineral makeup, and this brush: the flawless face brush is a lot softer than the full flawless face brush even though I use that as well for the foundation. In the photo you can see shimmer, however it is so finely milled that they are not overly visible. When most people say things give them a glow, I usually think its B.S. and discard it as probably making me a disco ball. But warmth really lives up to its name and gives your face a natural bronzed look and makes you look healthy. 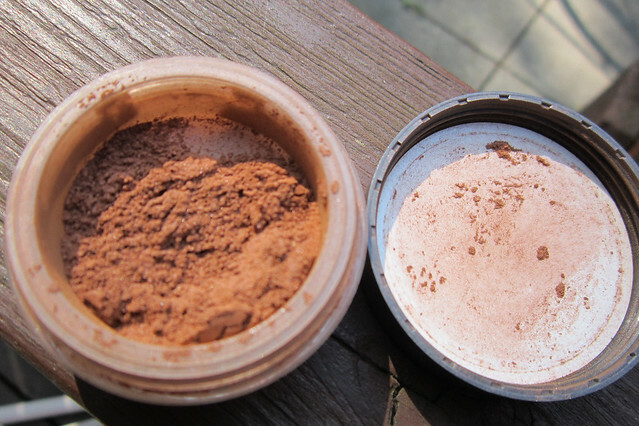 Some bronzers can be very muddy or orangey but Bare Minerals really knew what they were doing with this one. I can't really pull this off in the winter, but in the summer, it looks damn good. The cons are obviously that it is a loose product and can cause a huge mess, which is why I tend not to use the foundation, however there is usually just enough in the cap to use on my face that I just swirl the brush in the cap and don't even dip into the product itself.